We're trying to soak up the last bits of sun that this year affords us. We're not ready to talk about fall and apple cider and cable knits quite yet, even though we love those things too. We're still talking about pitching a tent out in the backyard for the night and eating as much watermelon as our bellies can comply with. 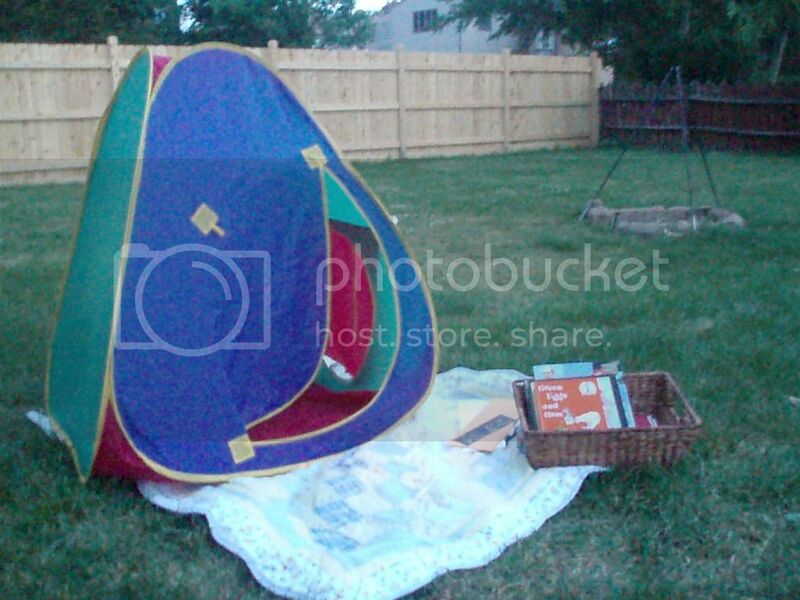 We're also still pitching our "reading tent" in an effort to read more books, limit screen time and enjoy the warm air. I mean, why would you read on the couch, when you can read inside a special book nook? If you can't find us in the house, you might try checking in the backyard. My feet will be sticking out the doors and our library books will be littering the grass. We love starting new traditions.